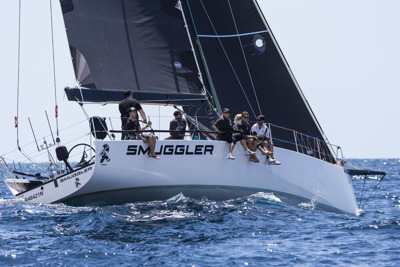 Smuggler is a Rogers 46 racing yacht based in Sydney at the CYCA. The boat has competed in just about every race on offer at the CYCA and beyond in the past three years and is owned by Sebastian Bohm. In fine form entering this race, recently winning the PONANT Sydney Noumea Yacht Race on IRC, ORCi and PHS. Also doing very well in the 2017 Rolex Sydney Hobart Yacht Race with a sixth overall on IRC and fourth overall on ORCi. ”The Smuggler ocean crew and shore crew are totally pumped and ready to take on the greatest race in the world again. Coming off the back of our PONANT Sydney Noumea win and our sixth overall in last year’s Hobart, we are ready to take on another big ocean race and will be launching as hard as we can!” said Bohm.